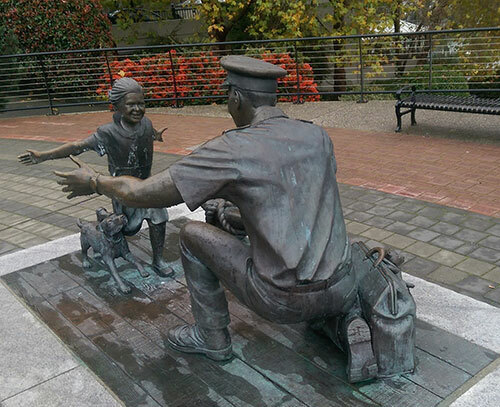 The decision to travel to British Columbia this past November was an impulsive one, uncharacteristic of my ‘long-range planning’ approach to life acquired during my career as a public school administrator. I’d been introduced to Emily’s Carr’s ground-breaking work in a Canadian Literature class taught by poet Deborah Keenan at Hamline University in 2004. 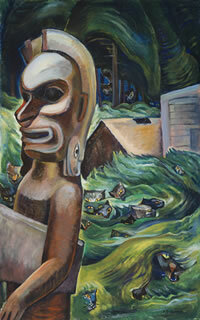 Emily Carr: An Introduction of Her Life and Art by Anne Newlands was one of the assigned texts. The book was only 64 pages long, yet the color plates of this unconventional woman’s paintings spoke to me in a way no other visual artist’s work ever had. I couldn’t articulate why. All I knew was that these images—created by an artist who nicknamed herself ‘Small’ as a child—brought to life a hidden part of me, raw and tender, foreign, yet totally familiar. 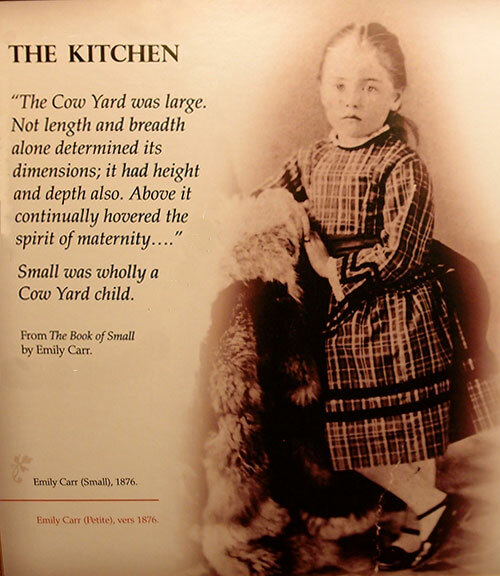 Later, when I researched and read more about Carr’s life, she became a kind of imaginary friend, a kindred spirit much like I’ve always felt about the Anne of Green Gables author Lucy Maud Montgomery. 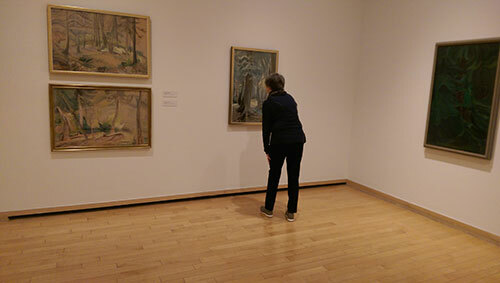 The Times article highlighted two major exhibitions of Carr’s art: “Emily Carr: Into the Forest” (at the Vancouver Art Gallery, May 13 – December 3, 2017), and “Picturing the Giants: The Changing Landscapes of Emily Carr” at the Art Gallery of Greater Victoria (June 10 – April 1, 2018). The window of time in which to see both exhibits in a single trip to British Columbia was running out. My desire to see the originals was so strong that I decided I would travel there alone if I couldn’t find a travelling companion. To my surprise, my always-busy husband Ralph cleared his calendar for a week to accompany me. Usually when we take a trip together, Ralph—a more experienced traveler than I—makes the arrangements. 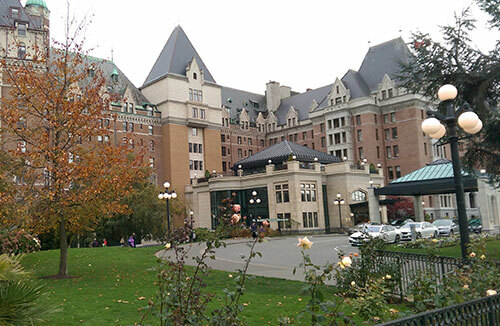 But this time, I quickly booked flights from Minneapolis, reserved two seats on the ferry between Vancouver and Victoria through BC Connector, pre-purchased tickets to the art exhibits, and took advantage of off-season hotel rates for accommodations at two grand, historic Canadian Pacific railway hotels. Since the Emily Carr House in Victoria, her childhood home, was closed to the public for the season, a friend suggested that I request a private tour. Jan Ross, the curator of the provincial heritage site, graciously agreed to do so. We departed Minnesota on November 8th with only three “must-do’s” planned in advance. We left the remainder of the sightseeing and dining adventures to chance, as our spirits and the unpredictable rainy-season weather dictated. I have always loved being in Canada; once I arrive, I always feel like I have come back home. Were Emily Carr’s richly drawn paintings of First Nations villages and totems, dark, haunting forests, wild beaches and vast skies all I imagined they would be? In next week’s blog post, I’ll share my answer. I love, love, love Victoria. I was there in 2014, and got a little introduction to Emily. Wish I could have shadowed your trip. Thank you for your comments, Donna, and for our shared love of Victoria. I hope that you have a chance to go back to British Columbia someday; I certainly hope to do so. Such a charming, warm and friendly city.